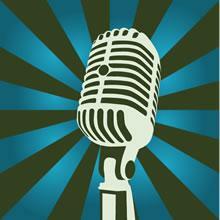 Tomorrow is Open Mic Night! Thursday, January 19th, we’ll have a fun reprise of a popular chapter event. Share your work, published or unpublished, with your Sisters. Everybody who wishes gets five minutes in the spotlight. Listeners welcome, too. The time limit will be strictly enforced, so that everyone who wants has a chance to read. That works out to about 3 1/2 double-spaced manuscript pages. We look forward to hearing yours! We’ll be meeting at the Muhlenberg Library as usual. See the Chapter Meetings page for more details about the wheres and whens! This entry was posted on January 18, 2012 by nysinc. It was filed under Events .